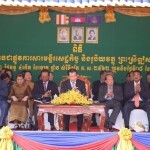 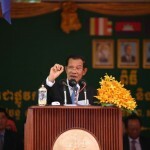 Cambodian Prime Minister Hun Sen, on Monday, stated that when Khmer Riel currency is too high, it is not good for 1 million workers whose salary is remunerated in USD, speaking Monday at the inauguration of the first-ever national monetary museum, “Preah Srey Icanavarman Museum” located near the Old Market in Phnom Penh. 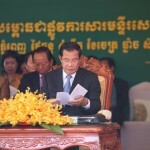 Cambodian Prime Minister Hun Sen, on Monday, chaired the inauguration of the first-ever national monetary museum, “Preah Srey Icanavarman Museum” standing near the Old Market in Phnom Penh, not too far from the National Bank of Cambodia. 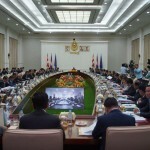 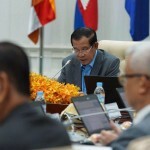 Cambodia decided to build one more hydropower and two more solar farms that will produce 200MW energy in total, according to the government’s decision made at the cabinet meeting on Friday at the Peace Palace. 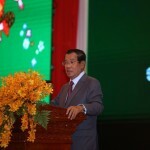 Cambodian Prime Minister Hun Sen called on effective policy formulation to ensure safe energy production with minimized impacts on environment, addressing at the cabinet meeting on Friday at the Peace Palace. 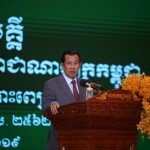 According to the Premier, environmentalists always block the construction of hydropower and energy production. 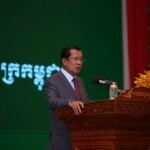 He urged the green groups to balance between environmental conservation and energy security in response to human needs and Cambodia’s development. 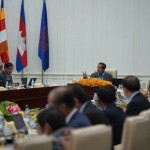 The Council of Ministers of Cambodia met Friday at the Peace Palace to discuss Draft law on oil management and other agendas. 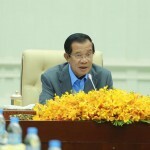 Cambodia decided to cancel the deal with Turkey’s electric-generating ship due to disagreement on some conditions, particularly the timely inconvenience, according to Prime Minister Hun Sen at the cabinet meeting on Friday at the Peace Palace. 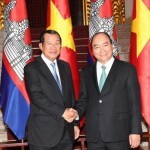 The ship expects to arrive Cambodia in early May; otherwise, the deal will be canceled, Electricite du Cambodge (EDC) official once told Fresh News when Cambodia-Turkey reached the deal in mid-March.